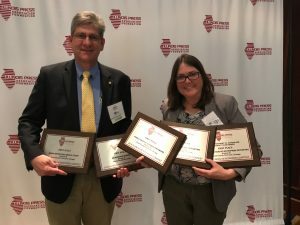 Chronicle Illinois Editor-in-Chief Rick Hibbert and reporter Jean Lotus show off first-place plaques at the Illinois Press Association Best of the Press Awards June 9. Chronicle Media is a young media company with newspapers and digital media products in very competitive markets throughout Chicagoland and Illinois. We are proud of the acknowledgments of our journalistic excellence from reputable industry organizations. 1st Place – BEST INVESTIGATIVE/ENTERPRISE REPORTING — Cook County Chronicle, Chicago, Jean Lotus. Body Parts Investigation. 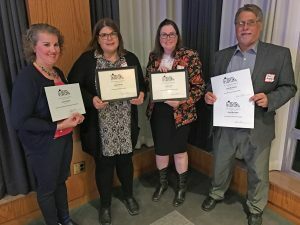 Knight Chair Award for best investigative reporting from the University of Illinois Journalism Department for a series of stories about the federal investigation of a politically connected human tissue business. 1st Place – PUBLIC NOTICE JOURNALISM AWARD — Cook County Chronicle, Chicago, Jean Lotus. Suit: Tinley Park zoning change improperly noticed. 2nd Place – NEWS REPORTING SERIES — Cook County Chronicle, Chicago, Jean Lotus and Kelli Duncan. Undocumented immigrants in Cook County. 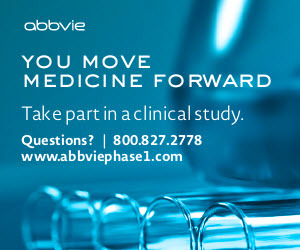 “Solid coverage of an emotional, hot topic. Chronicle Media’s 2016 Northern Illinois Newspaper Association award winners are (from left) Lynne Conner, Judy Harvey, Jean Lotus and Jack McCarthy.